Fans of THE DARKNESS responded to the new creative team, David Hine and Jeremy Haun, by quickly snapping up copies of their debut issue, THE DARKNESS #101: The Crack in Everything, Part 1. The issue, which arrived in stores on March 21, has sold out and will be re-printed, with the second printing (JAN128232) arriving in stores on April 18. Hine and Haun took over the story of Jackie Estacado after the events of ARTIFACTS #13 and in the wake of Top Cow’s REBIRTH initiative. 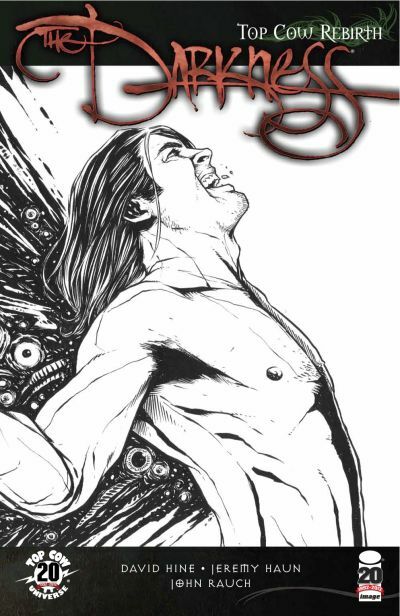 On the surface, Jackie Estacado has everything he ever wanted - control of the Darkness, a successful career, wealth and, most importantly, a happy family life. However, his desire to make his life truly perfect will be his undoing. What happens when all of it begins to slip through the cracks? THE DARKNESS #102 (FEB120499) will be in stores on April 25.